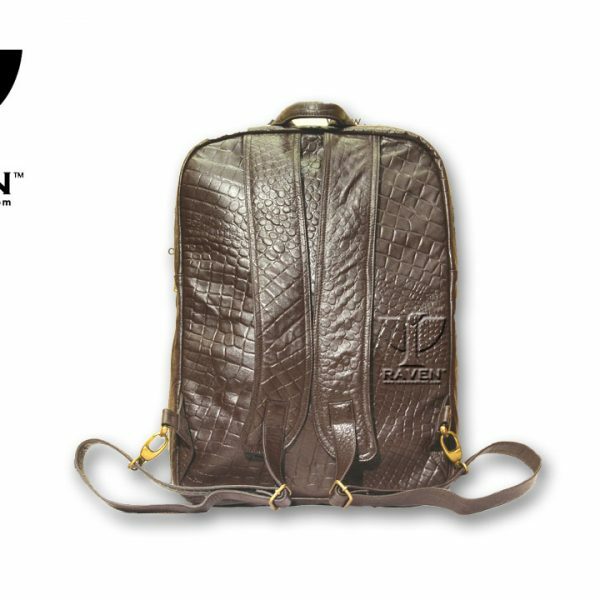 Here we present our first foremost Ambushed Leather. 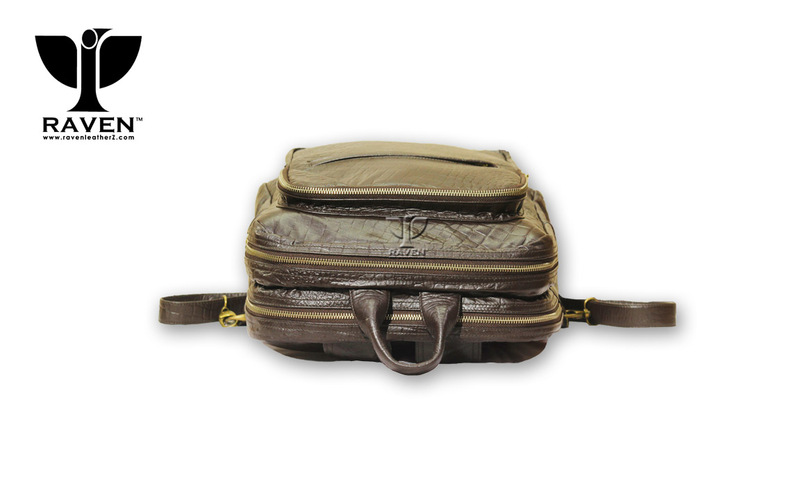 It is none other than Crocodile, which is most famous in its appearance. 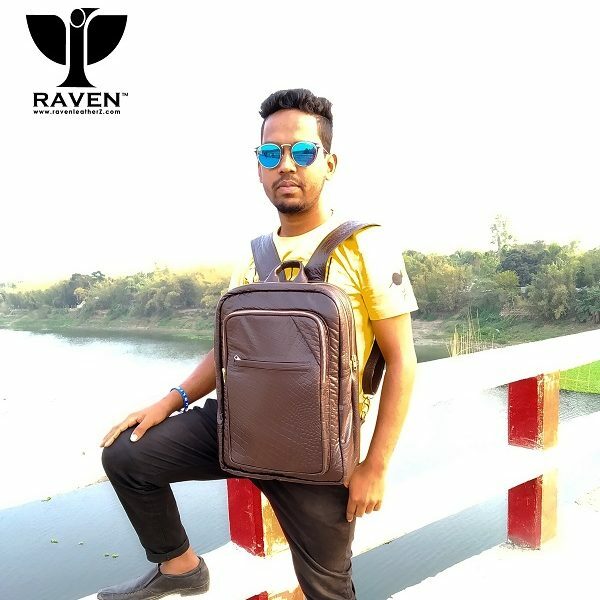 All over the world this print is popular among all people. 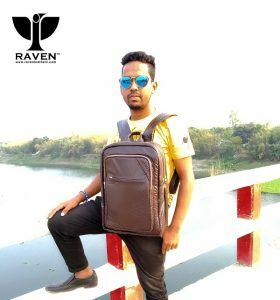 This bag designed and manufactured in minimalist concept. 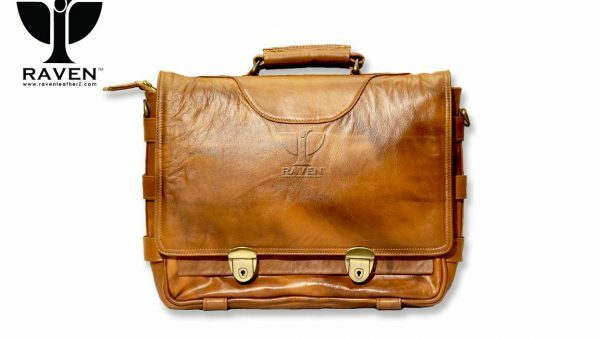 Seventeen inches in height, Twelve inches in width and Six and half inches in Depth. 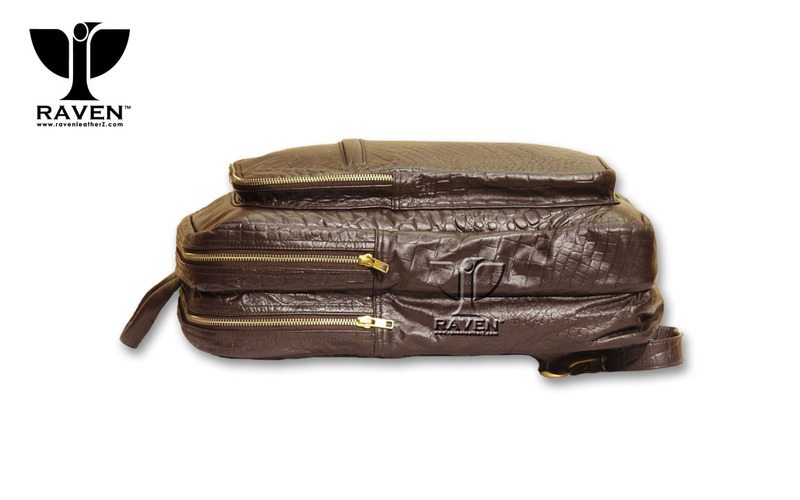 This medium dimension bag is supper light in weight which gives extra benefit in caring out heavy daily needs. 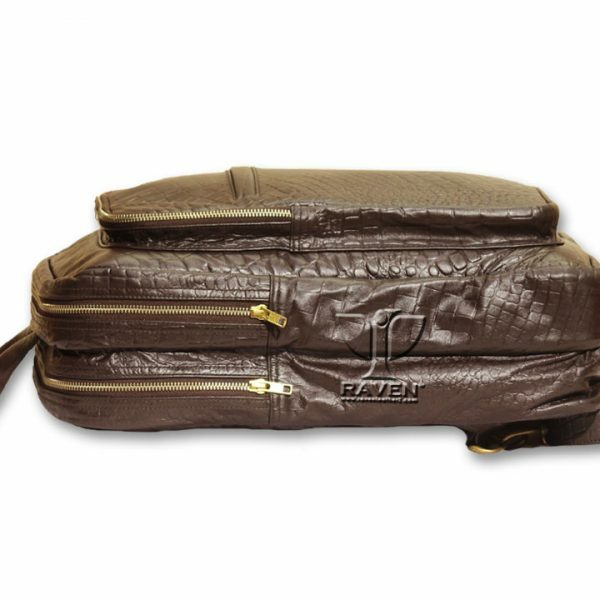 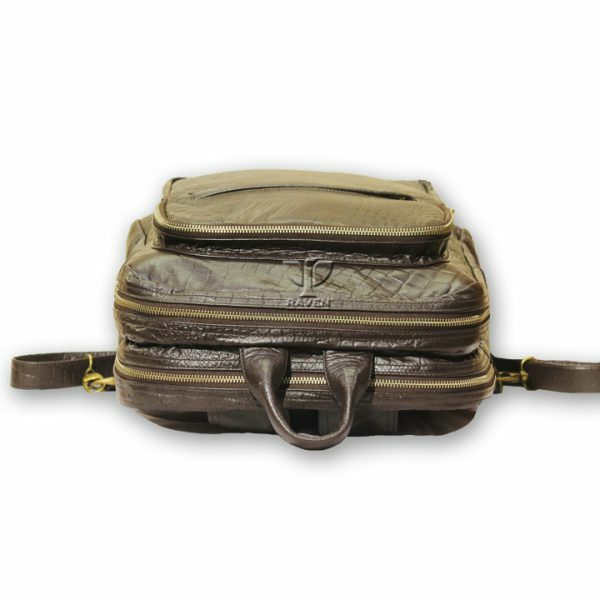 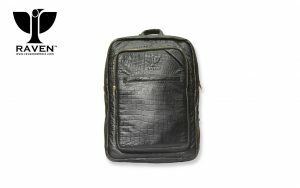 This light weight RAVEN Crocodile Ambushed Backpack RUBC:03 gives a aristocratic vibe in your working area. 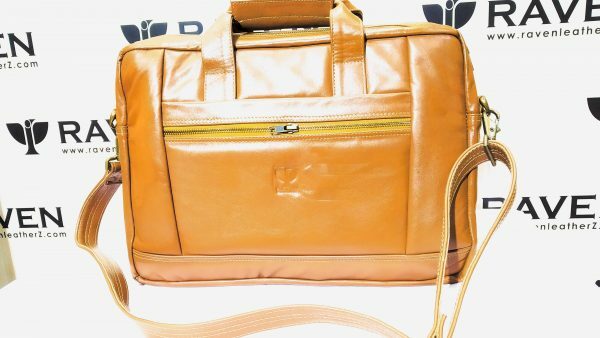 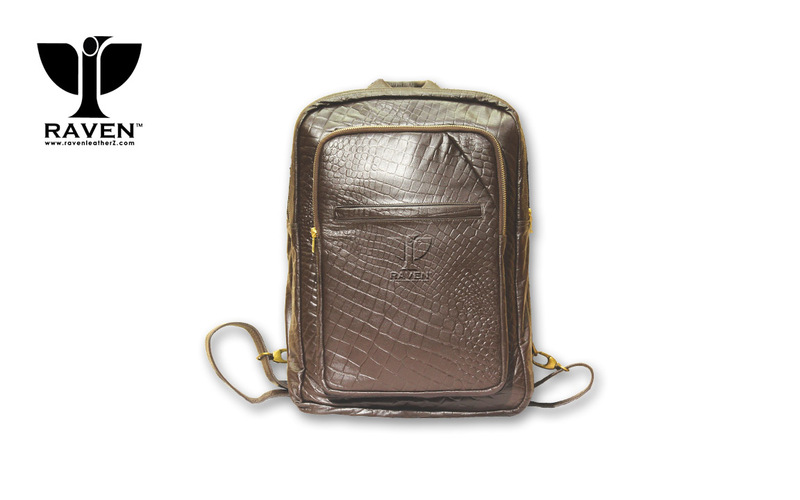 University fellow students, Office executives, Sports personnel or Supper Trend follower all over this bag. 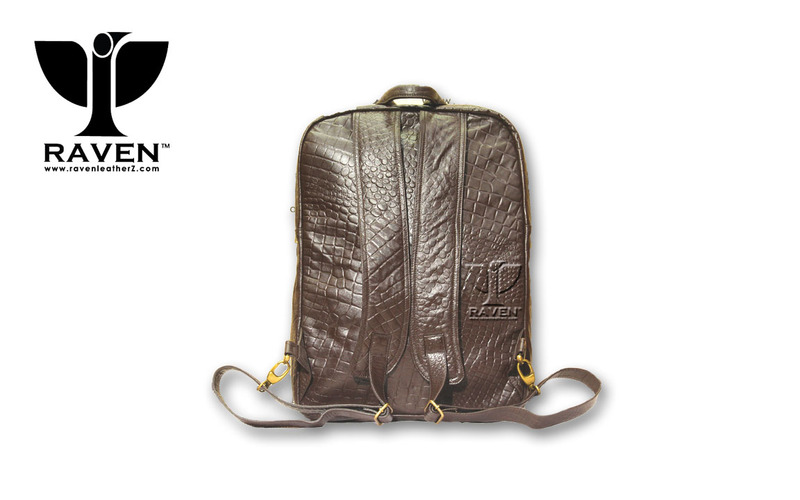 Al together, this Genuine Leather made Crocodile Ambushed Backpack isn’t just a piece of Bag, its a Art Work. 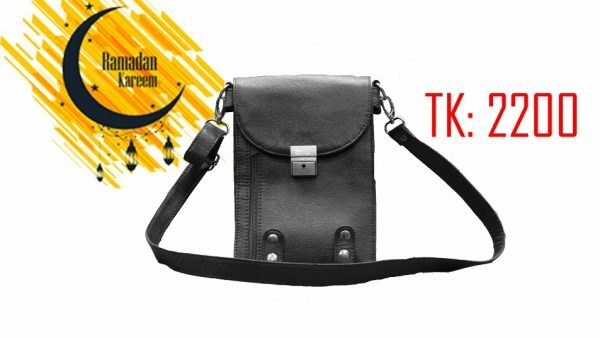 A must have accessories for daily needs and as well as for collection in your gorgeous wardrobe. 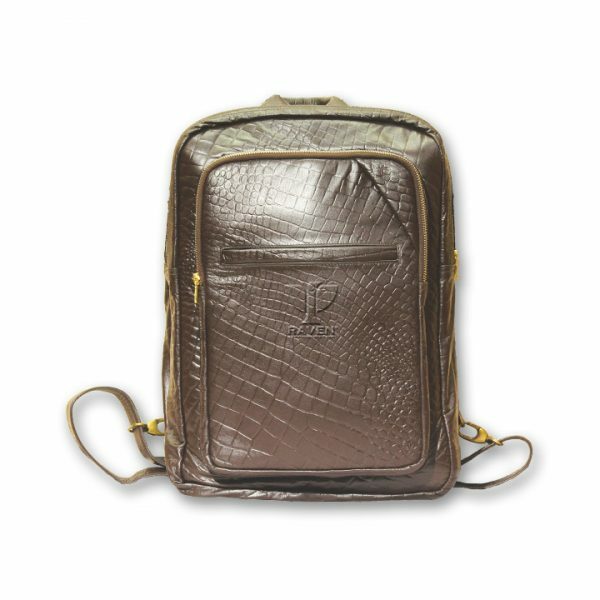 So lets get to the Feature and Materials that used in this Crocodile Ambushed Backpack…………………….. 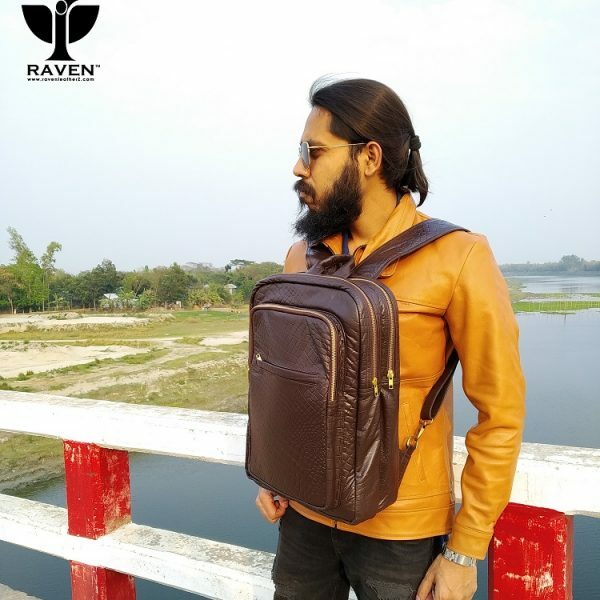 So, this genuine leather backpack could be long distance travel companion. 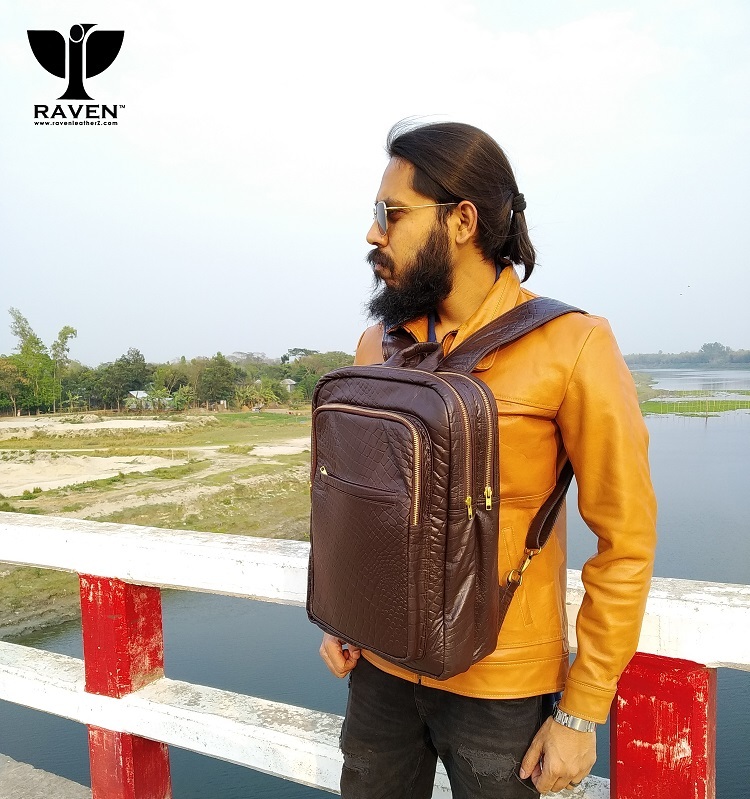 Unlike conventional fabrics backpack this genuine leather backpack will give you a vibe of Elegance, Aristocracy in your image.